Liver plays a key role in undertaking a number of critical body functions including the production of bile for digestion of food, synthesis of blood clotting compounds, detoxification, and the storage of essential sugars (glucose) in the form of glycogen. Liver cells also possess a remarkable ability of regenerating themselves post any notable damage. Owing to this unique capability, liver tissues have captured the fascination of researchers for ages and research studies aimed at understanding the operation of liver cells continue to be undertaken at a steady pace across the globe. The proper understanding of cellular and molecular connectivity and functionality of liver cells in in-vivo as well as in-vitro settings is critical to the discovery of treatment and diagnosis of a variety of conditions that are associated with liver function. Thus the development of liver models, which are capable of providing a virtual ecosystem mimicking the molecular processes of a liver, can help get a better understanding of the molecular interactions and the function of the entire organ. Owing to the rising demand for effective treatment methods for a number of conditions associated with the liver, there has been an increased demand for human liver models in the past few years. Advanced liver models have been introduced in the past few years, which are organoids or mini-organs that can replicate human liver anatomy, physiology, and functions. Increased research in the area of these living models has the potential of replacing animal models for research and development of drugs for a number of conditions and for screening new drugs for testing liver toxicity. Human liver models are more sought after as these offer more advantages over animal models that pose ethical issues and are not always accurate. The global market for human liver models is expected to grow at healthy growth rate in the next few years. Technological advancements and innovations in this field are further estimated to accelerate the growth of the market in the coming years. The market research study offers a detailed overview of the global human liver models and throws light on the key aspects that are predicted to enhance the market growth. 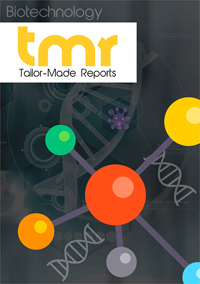 The key segments, regional outlook, and the competitive landscape of the global human liver models market have been described thoroughly in the scope of the research study. The rising focus on development of alternatives for the animal testing models is one of the major factors estimated to encourage the growth of the global human liver models in the next few years. The rising research and development activities and increasing funding for the development of liver organoids are further predicted to restrict the growth of the overall market in the near future. In addition to this, the increasing number of initiatives to create an awareness regarding the liver organoids is projected to generate promising growth opportunities for the market players in the coming few years. The lack of skilled professionals is one of the key challenges being faced by the leading players in the human liver models market across the globe. The increasing prevalence of non-alcoholic fatty liver disease and the rising research and development activities are some of the key factors that are estimated to accelerate the growth of the global human liver models market in the coming years. On the flip side, several issues related to the incorporation of organoids in the current workflows are estimated to curtail the growth of the overall market in the near future. Nonetheless, the rising focus on drug discovery activities and the growing demand for liver transplantation are further predicted to offer growth opportunities in the coming years. The global market for human liver models has been classified on the basis of geography into the Middle East and Africa, Europe, Asia Pacific, North America and Latin America. In the last few years, North America is expected to witness high growth throughout the forecast period. In addition, this segment is projected to remain in the leading position throughout the forecast period. The high growth of this segment can be attributed to the presence of several well-established life science industry and the rising awareness among consumers regarding the organoids technology. Moreover, the rising government funding and the increasing incidence of NAFLD are further estimated to encourage the growth of the North America market in the next few years. Asia Pacific and Europe holds immense growth potential to rise in the coming years. The global market for human liver models is moderately competitive in nature with a presence of a few players operating in it across the globe. The expected rise in the number of new players is projected to encourage the growth of the overall market in the next few years. Some of the players mentioned in the research report are CN Bio (UK), HìREL (US), Cyfuse Biomedical (Japan), Emulate (US), Ascendance Bio (US), and Organovo (US). Technological developments and innovations in this field are some of the key factors that are likely to generate potential growth opportunities for the market players throughout the forecast period.